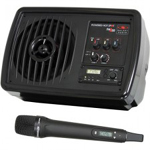 Projector Rentals, Inc. provides leading technology audio-visual rentals across the United States, with an ever-expanding service to meet your business and private function needs. Specializing in professional solutions for events of all sizes and categories, we take pride in our unbeatable customer service and unparalleled multimedia expertise. 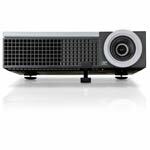 We offer a wide range of DLP and LCD bright lumen projectors, accessories, and portable audio sound systems with diverse connectivity options, user-friendly functions, and dramatic color technology that will transform your images, video, and sound into a brilliant, bold presentation. Our quick Quote Request form makes renting audio-visual equipment easy. Simply fill out your specific details and we will respond to your request by the end of the business day. You can also call us for a quote and more information about how our rental process works. Our low price guarantee ensures the best price, while our free roundtrip ground shipping and UPS certified packaging makes rental and return hassle free. Whether you want a short or long-term rental, Projector Rentals can ship to your private residence or event location, guaranteeing arrival 24-48 hours before your event.